The All Japan Martial Arts Federation, or Zen Nippon Sogo Budo Renmei to give it is full Japanese name, is an international martial arts federation dedicated to the promotion and preservation of traditional Japanese and Okinawan budo and bujutsu throughout the world. We are the UK branch of the Zen Nippon Sogo Budo Renmei. 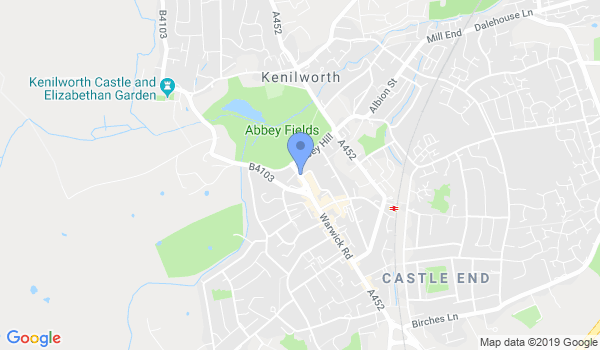 Aiki Jitsu (Aikijutsu), Aikido, Goju Ryu Karate, Iaido & Jiu-Jitsu (Jujutsu/Jujitsu) classes are available in Kenilworth for children and adults. Daytime and evening classes offered all year round on various weekdays. Please contact All Japan Martial Arts Federation - UK for exact class hours for different age groups. Would you like more information on hours, classes and programs available at All Japan Martial Arts Federation - UK? Please contact the school with your questions. Update the details, Write a Review or Report Error of All Japan Martial Arts Federation - UK. This Chart shows the Martial Arts Styles offered most in Kenilworth, UK area. View a list of Dojo in Kenilworth, or enter your address below to find schools closest to you.